1. A Brand is a creative expression of a value proposition. We start with the fundamentals. A value proposition is the foundation for the Brand. It is the key to business or organizational viability. We create value propositions by generating a large number of possibilities and then evaluating them based on three strategic criteria: a) validity—is the statement a true and accurate description of the business, product, service or organization? b) motivation—does the statement have potential to cause a behavioral response, not just a “feel good” or “oh that’s nice?” c) differentiation—can the statement separate the Brand from the competition or set of alternatives available to the consumer? 2. A Branding campaign begins with a value proposition and depends on a creative device expressed with consistency and continuity. A value proposition by itself isn’t a Brand. Brands happen over time by virtue of a well-managed Branding campaign. Brand campaigns share several characteristics but in particular, they are a) consistent across media contact points. The website, print advertising and direct mail all look and feel like they are part of a “Brand family.” And, they have continuity over time. Effective Brands do not change horses in midstream with too-frequent changes to the strategy or creative device. This requires discipline but also the proper discovery of an idea and set of strategies worthy of investment. 3. 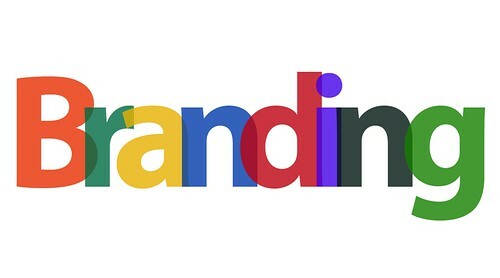 Branding leads—and is separate from—the marketing mix. An effective Brand operates between business planning and the marketing mix elements. It is an asset that grows in importance. In a Brand-led business or organization, a significant goal of business planning is the optimization and amortization of the Brand and related Brand assets. A well-utilized Brand tends to strongly suggest how the Brand should be deployed through media channels and other “marketing mix” decision areas. 4. Branding is the “great filter” of everything you do, could do, and should never do. Growing organizations are often faced with too many choices. Media sponsorships, new products, partnerships, sales promotion ideas. In many organizations, the issue isn’t a lack of ideas and opportunities but the presence of too many choices. The often dizzying set of options can resemble drinking from a fire hose. The good news is, a strong, well-defined Brand can help filter the choices. Some tactics will align better. What is often helpful is the creation of a resume for the Brand (as if it were a person looking for employment). 5. Branding determines and controls the relationship you will have with your customers. We live in a surplus economy. Sometimes an innovation or new product is highly differentiated. But too often, these opportunities are short-lived since good ideas attract competition. Most marketplaces are competitive if not totally commoditized. In this environment, it is the Brand that creates relevancy, customer intimacy and loyalty more than the product or service itself. Brands are a means to creating relationships, not just transactions. 6. Brands do not happen without information, insights and ideas. Creating something durable, memorable and proprietary takes effort. Brand discovery, activation, and management are a process. That said, there are more and less efficient ways to work that process. The Goss Agency is a specialty firm that works that process–over and over and over. We don’t overinvest in the time and cost associated with quantitative research, and we don’t rush into tactical thinking. The “5-I” (inform/insight/intent/ideation/implementation) process is comprehensive, efficient, inclusive and always leads to actionable strategies. 7. Brands transcend products, services, and the organizations that sell them. Quite simply, a Brand is bigger than any single product, service, organization or even portfolio of products or businesses. Essentially, Brands are enduring ideas that can provide an umbrella or platform (pick your metaphor) for business success. Brands increase sales velocity, market share and profit margins. It is the Brand that multiples business value, not the product. 8. A logo is not a Brand; neither is an advertising campaign…they are Brand tactics. If you are ONLY shopping for a new tagline or a logo or even a new website, you are probably in the wrong shop. We are a firm that begins with strategy. First, we discover, then we develop strategy, then we implement. Logos, taglines, and advertising campaigns are tactics we will create in the implementation phase. The difference is, we will recommend strategically sound, proprietary, and durable tactics that will drive your business or organization ahead. Facilitate and monitor a process allowing your consumer to contribute to your brand image and awareness through their use of social media. 10. To better compete, you have to understand the context in which you operate better than your competitors. Simple in theory but a bit more difficult in practice. Most industries are crowded with too many competitors pursuing too few strategies. The clutter of messages becomes overwhelming, suspicious, or just irrelevant. Meaningful differentiation–if it exists at all–is often based on superficial or misleading message and tactics. Creating something which is both meaningful and different depends on market understanding that is more profound than the competition. This is the basis of our “3-C” process, which systematically analyzes the corporate/consumer/competition for insight that leads to a more compelling and effective strategy.